With Valentine’s Day approaching, a romantic getaway is on many travelers’ minds. But they are not searching for the typical Valentine’s Day Vacation for two. RCI took a look at data from RCI® subscribing members searching for a vacation over the week of Valentine’s Day. The more than 750,000 searches conducted for that week yielded some interesting results. Despite the romantic nature of the holiday, travelers were not looking to escape alone. Instead, they were searching for group travel in units with multiple bedrooms. In fact, only 4.6 % searched for a unit for just two people. Unsurprisingly then, nearly 75 % searched for a unit with two or more bedrooms. More space, bedrooms, and privacy are some of the many benefits of vacation ownership units. Traveling companions no longer just include family and friends, as shown by the number of travelers looking to take their pet on vacation. The amount of members who searched for pet-friendly accommodations nearly tripled since the previous year, with more than 8 % wanting to take their furry friend on their Valentine’s Day getaway. Some travelers searched specifically for an activity-based trip over Valentine’s Day week. Downhill skiing was the most popular search, with more than 67 % looking for this type of trip. On the other end of the spectrum, a beach vacation came in second with nearly 1 in 5 looking for a beach trip. For those travelers looking to book a specific destination, Playa del Carmen and the Riviera Maya areas of Mexico took the most popular spot (13.4 %). It was followed closely by Orlando, Florida (11.6 %); Tenerife, Spain (7.3 %); Cancun, Mexico (5.9 %); and Hilton Head, South Carolina (5.8 %). 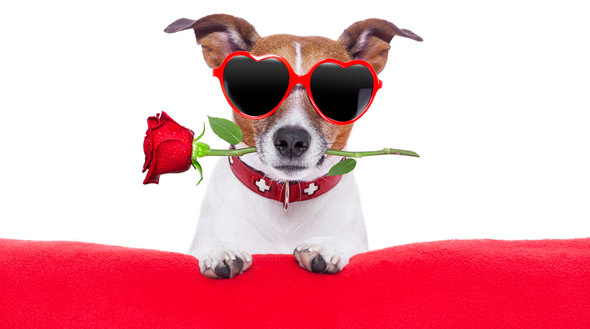 RCI data was pulled from RCI members using their RCI Weeks® accounts searching for Valentine’s Day Week arrival dates. Data was pulled from those who conducted searches by December 31, 2014.